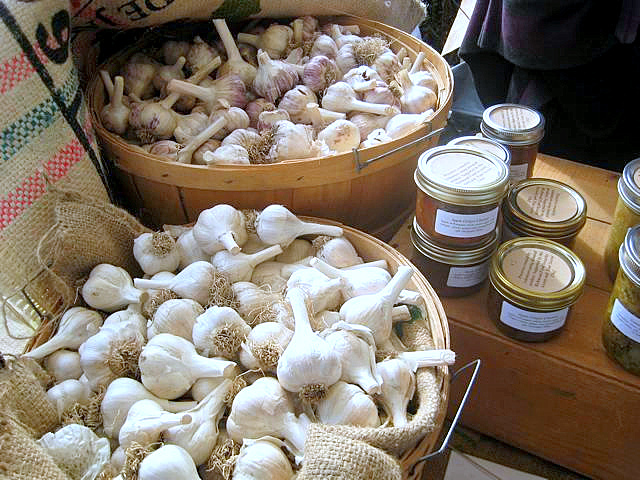 The Sharing Farm’s 8th annual Metro Vancouver Garlic Festival will offer up over 1,000lbs of fresh garlic for sale this Sunday, combined with a celebration of “the stinking rose” that includes workshops and cooking demos. Admission: By donation. Free parking available. Over 5,000 people a year have enjoyed the family-friendly garlic festival, learning about how food grows, the benefits of healthy eating, and how families can live and grow through a sustainable lifestyle. Highlights for festival goers include live entertainment, an expanded farmer’s market, cooking demonstrations, and a children’s area. The festival takes place at The Sharing Farm located in the beautiful award winning Terra Nova Rural Park. Food and drink tickets are available for sale online in advance (and onsite). For 7 years, The Sharing Farm’s signature annual fundraiser, The Garlic Festival, has supported their food-dignity mandate to grow fresh local organic produce for low-income families. From their simple beginnings collecting surplus fruit to give to the Richmond Food Bank, through small-scale vegetable farming on donated land, The Sharing Farm Society now cultivates 3 acres at Terra Nova Rural Park. Follow The Sharing Farm on Twitter and Facebook for more information.